Baptism: Pre-Baptism instructions required. Contact the rectory office. Marriage: Diocesan policy requires a minimum of a four month preparation period. Please make early arrangements. Anointing of the Sick: On the Fourth Thursday of every month at the Ministry of Praise Mass or by appointment. 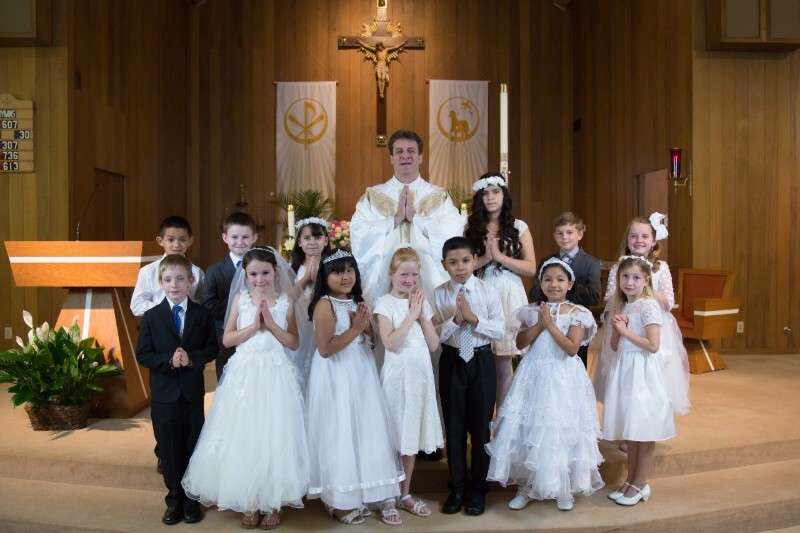 First Communion: Formation occurs in Parish School of Religion (PSR) class in 2nd grade or during regular class at Sacred Heart School in second grade. Please contact Erin Crouch, Director of Religious Education, for further information. Confirmation: Formation occurs in PSR class in the 8th grade. The sacrament is celebrated sometime in the spring of the year. Please contact Erin Crouch, Director of Religious Education, for further information. I have added the agenda and schedule from my First Reconciliation meeting on 9/22/11. The documents are located on the document side bar. They are also available in spanish. Please review these if you have questions. to leave by 2:30pm for Great Bend. The retreat is for students only. First Communion 2016 is here. First Communion is during the 8:30am Mass on Sunday May 1st. Please pray for the students as they receive Jesus for the first time. We have 22 students this year. 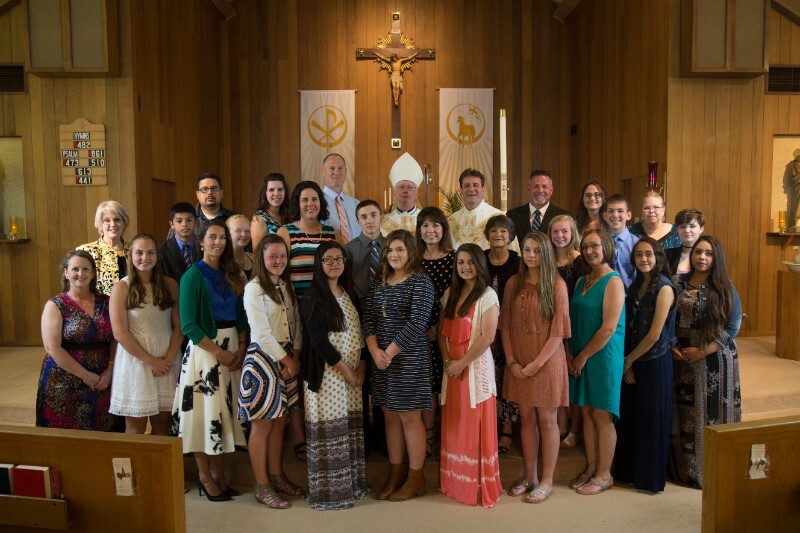 Please plan to attend our Confirmation meeting at 7PM in the church on October 5th. I will be handing out information to parents about confirmation and important dates for the year. Sacramental preparation begins with the start of PSR. All 2nd grade students will be prepared for First Reconciliation and First Communion and 8th grade students prepare for Confirmation. If your student has missed these sacraments, please contact the office and let us know. Confirmation parents will have a meeting Wednesday Sept 23rd during PSR in the school cafeteria from 7-8pm. Please note that Confirmation has moved from March 10, 2012 to Feb. 18, 2012 at the 5:30PM Mass due to conflicts for Bishop John. All First Communion students and parents, we will have a parent meeting during PSR in the upstairs of the parish office (come in the front door) on October 8th at 7pm. The First Communion Enrollment Rite will be held during Mass on October 12th at 8:30am. Please come with your student. Confirmation Parents we will have a meeting during PSR on October 15th in the upstairs of the parish office (come in the front door). This will be information about the process. I would like to thank all those who helped with the Confirmation retreat and reception in February. The Daughters of Isabella hosted the reception for me, so I thank them for that. I would like to thank Becky Sweet and Kim Evert for all their hard work as catechists for our Confirmation class. Thank you to the sponsors and parents for participating and educating the candidates in your faith. There were 24 students confirmed this year, they are listed below this article. Please keep them in your prayers. Our big event for April and early May is our First Communion. Parents and student are invited to the First Communion centers activity on April 15th from 9:30-10:30AM, right after Mass, to learn together more about the Eucharist. Then on May 4th at 4PM in the church all First Communion students have practice for the sacrament. On May 5th at 10AM is practice for parents and students. Then during 8:30AM Mass on May 6th we have our First Communion. We will have a photographer to take pictures during the sacrament and also after the Mass. Have a safe and blessed summer. First Reconciliation parents, we have the reconciliation centers for parent and child on Nov. 4th at 10AM in the school cafeteria. This should take less than an hour. All stations are in English. This is a great chance to talk to your student about the sacrament and learn more about it yourself. Then we will have First Reconciliation practice for all students on Friday November 30th from 4-5PM in the church. First Reconciliation is Saturday December 1st at 1PM in the church with a reception in the cafeteria afterwards. Our big event for April and early May is our First Communion. Parents and student are invited to the First Communion centers activity on April 7th from 9:30-10:30AM, right after Mass, to learn together more about the Eucharist. Then on May 3rd at 4PM in the church all First Communion students have practice for the sacrament. On May 4th at 10AM is practice for parents and students. Then during 8:30AM Mass on May 5th we have our First Communion. We will have a photographer to take pictures during the sacrament and also after the Mass. First Reconciliation practice for all 2nd graders is from 4-5PM on November 30th in the church. Then we will have First Reconciliation on Saturday, Dec. 1st at 1PM in the church. We will have a simple reception in the school cafeteria afterwards. Confirmation candidates, please turn in your choice for sponsors to Erin by Dec. 5th. I will send out letters to the sponsors during the Christmas break. 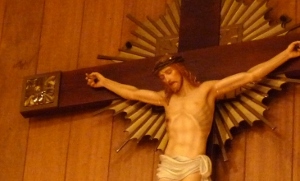 Religious Formation Commission will meet Dec. 5th from 5:30-6:30 in the upstairs rectory room. March is starting off at a run for Religious Education with the celebration of Confirmation for our 8th grade class. Confirmation Mass will be at 1PM on Sunday March 3rd. All candidates and sponsors are asked to meet at 12:40pm in the school cafeteria to line up and go to Mass. We have 16 students receiving the sacrament this year. Confirmation students and sponsors or parents are invited to attend the Enrollment rite during the 8:30AM Mass on Jan. 13th, to make a commitment with parish to go forward with confirmation preparation. Our Confirmation students are preparing for Confirmation on Sunday March 3rd at 1PM. The Confirmation retreat for candidates and sponsors is Feb. 17th after church from 10AM-3PM in the school. The Signing of the Book rite will also take place during the 8:30AM Mass on the 17th. Then on Wed. Feb. 27th during PSR we will have Confirmation Practice in the church.